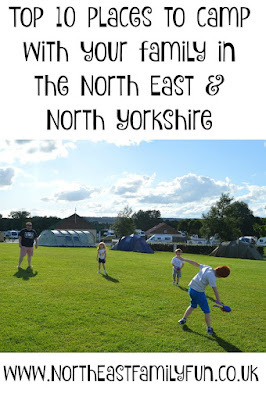 We used to go camping a lot when our children were teeny - money was tight and I loved being able to escape to the countryside with them whenever we could (check out our tips for camping with a baby). However for the past few years traditional camping has kind of slipped off our radar and you know what, we've missed it! So we have just purchased a brand new tent and sleeping bags and have decided that 2016 is going to be the year we fall back in love with camping. There really is nothing quite like camping to allow yourself and your family to disconnect from wifi and electronics, make new friends and enjoy the great outdoors. When we stayed at Scarborough Ready Camp with the Camping and Caravanning Club last year it was wonderful watching the kids play outdoors every single day rather than being attached for their iPads and for me and Steve it was fab sitting on the decking, reading a book with a glass of wine and just enjoying each others company. Yes, I would definitely like a lot more of that this year please! 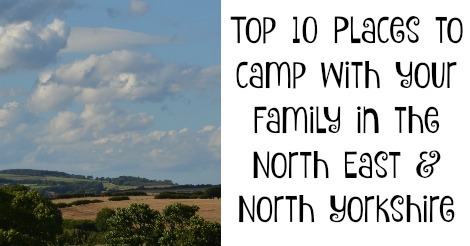 I have spent the last month or so researching various campsites where we can really get away from it all and have created a list of the top 10 places to camp that are within a 2 hour drive of our home in Northumberland. Let me know if you would add any to the list. There is lots of space on this site meaning it is ideal for children (and grown ups) to play games, run around and make friends. The facilities are second to none with play parks, sports pitches, immaculate bathrooms, launderettes, an indoor games room and even an on-site chip shop. The cliff-top location provides unrivalled views of the Yorkshire countryside and we were lucky to catch some beautiful sunsets when we stayed last year. 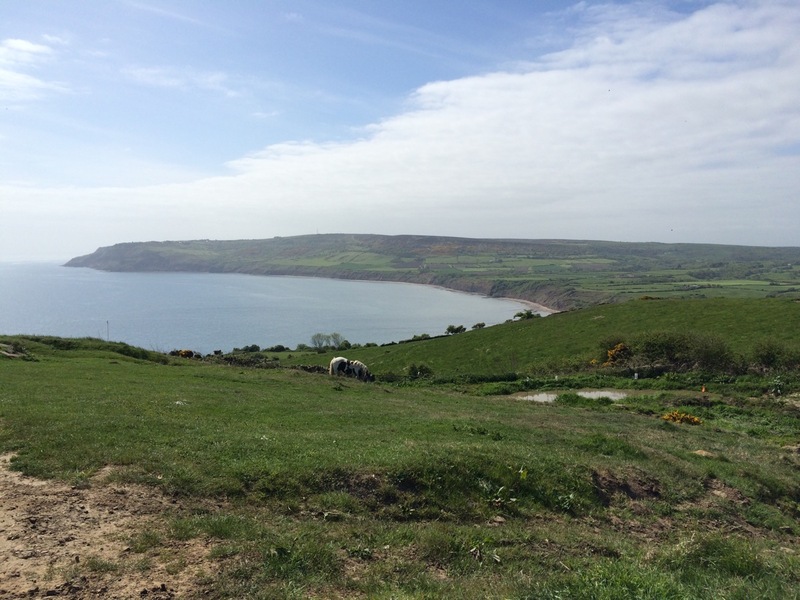 The traditional attractions of Scarborough North Bay are less than 2 miles away and children will love exploring the rock pools, donkey rides on the beach and Scarborough's famous miniature railway. We stayed in a wigwam at Springhill Farm near Seahouses a few years ago and loved the site's facilities and location. There is a well-kept play park for children and beautiful views out to the coast and Bamburgh Castle. I like that fire pits are allowed on this site so you can have that authentic camping experience toasting marshmallows on the campfire. Large groups are welcome too which seems to be rare these days. The site is one mile from Seahouses village and well placed to explore the Northumberland coast. 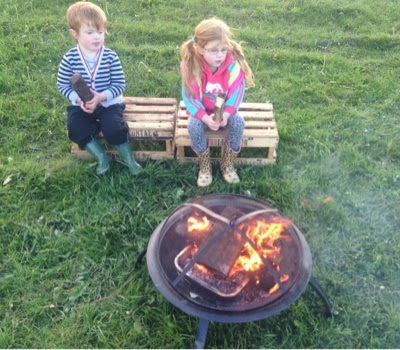 A few years ago we stayed at the Bells of Hemscott near Druridge Bay when they launched their glamping business and thoroughly enjoyed escaping to the countryside for the night. The team have now added wild camping to their list of offerings and guests can pitch up their tent amongst the sand dunes of Druridge Bay in Northumberland. There are very limited facilities however campfires are allowed and what you do have is miles and miles of unspoilt beach on your doorstep. Sounds wonderful and is definitely one for those who are after an authentic camping experience! After reading this review of Robin Hood's Bay from Canny Food, I had to add Bay Ness Farm to my list. I love the views of the countryside and coast from your tent and the fact that there are lovely walking routes right on your doorstep. Whitby is very close by too and is one of our favourite places to visit with the family. I would recommend climbing the 199 steps to the Abbey to take in the wonderful views followed by Fish and Chips from The Magpie Cafe. Another site with stunning coastal views is Beadnell Bay. The site is nice and quiet and ideal for families who enjoy walking and exploring their surroundings on foot. You'll find a few pubs and a chip shop within easy reach alongside the glorious beaches of Beadnell and Seahouses. We would recommend taking a boat trip with Serenity Tours out to the Farne Islands where you can spot puffins, seals and maybe even a basking shark or dolphin! 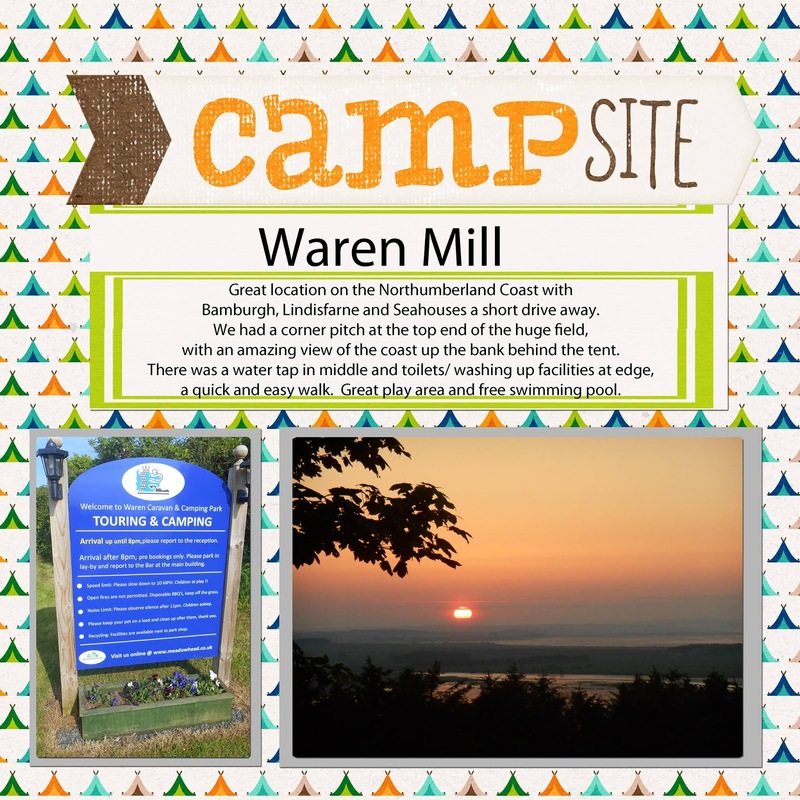 When I asked my Facebook friends for campsite recommendations, Waren Mill was recommended by a few different people. This site has won a David Bellamy Gold Conservation Award, features a children's play area and campers have access to the site's free splash pool in the warmer months which is a huge hit with the kids. The site is perfectly located to explore some of Northumberland's finest castle's including Bamburgh and Alnwick. 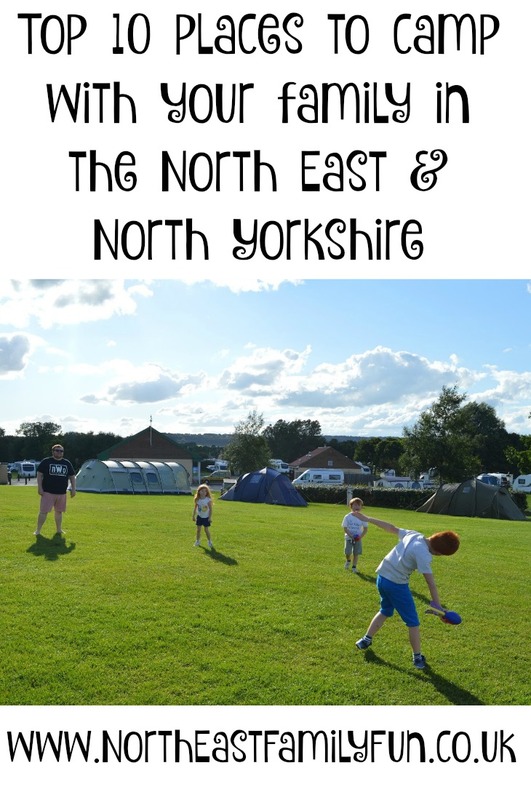 The Boroughbridge Camping and Caravanning site is well-suited to families who would like to visit picturesque Harrogate and York whilst still enjoying the glorious great outdoors. You can walk around the River Ure which borders the campsite to Ripon or Boroughbridge village or jump in the car to explore Harrogate and York. We recommend visiting the National Railway Museum (it's free) and calling into Betty's for some treats for supper. The Hideaway at Baxby Manor is somewhere I have wanted to stay for a while. 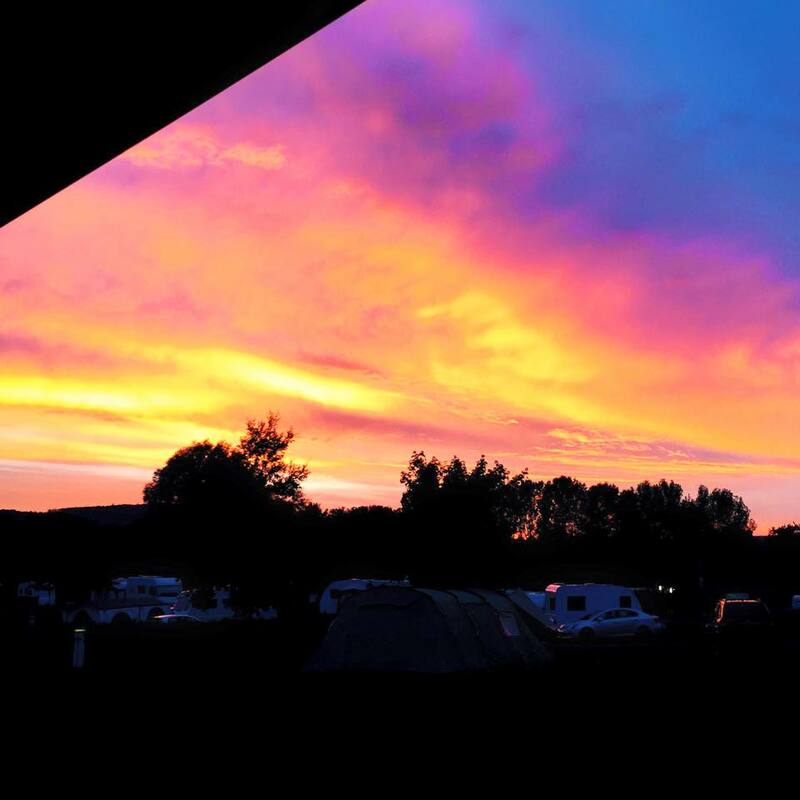 As well as being able to stay in a wigwam or bell tent, traditional campers can also make the most of the site's luxurious facilities including an onsite shop, hot and free showers, indoor and heated pot-wash facilities and communal fridges, fire pits, coffee served from a vintage caravan AND a mobile butcher and bakery visit the site too. How fab is that! Fires are also allowed on all pitches. Rudding Park is 5* site located in the heart of North Yorkshire that provides families with a wealth of facilities including an outdoor heated swimming pool, Deer House Family Pub, playground, games room and even a spa in the adjoining hotel. There are lots of places nearby to really switch off from the world and the park is a lovely place to connect with nature. Kielder is known for it's dark skies and outdoor adventures and there are lots of accessible activities on offer too. Kielder Campsite is described as a tranquil campsite in the remotest village in England and has no mobile phone signal - where better to get away from it all? The site is rustic and has a small children's play area with lots of space to explore and fun activities nearby. I really can't wait to visit some of these places this Summer and really switch off from the world and really re-connect with the family. Many will be featuring on our blog in the future so keep your eyes peeled for more in depth reviews. Let me know if you have any recommendations too. I would add Sleningford Watermill near Ripon. We love it there, lovely campsite, close to Lightweight Valley, Brimham Rocks, Fountains Abbey for days out. The campsite has a lovely river which the kids can play in, swim, canoe etc. 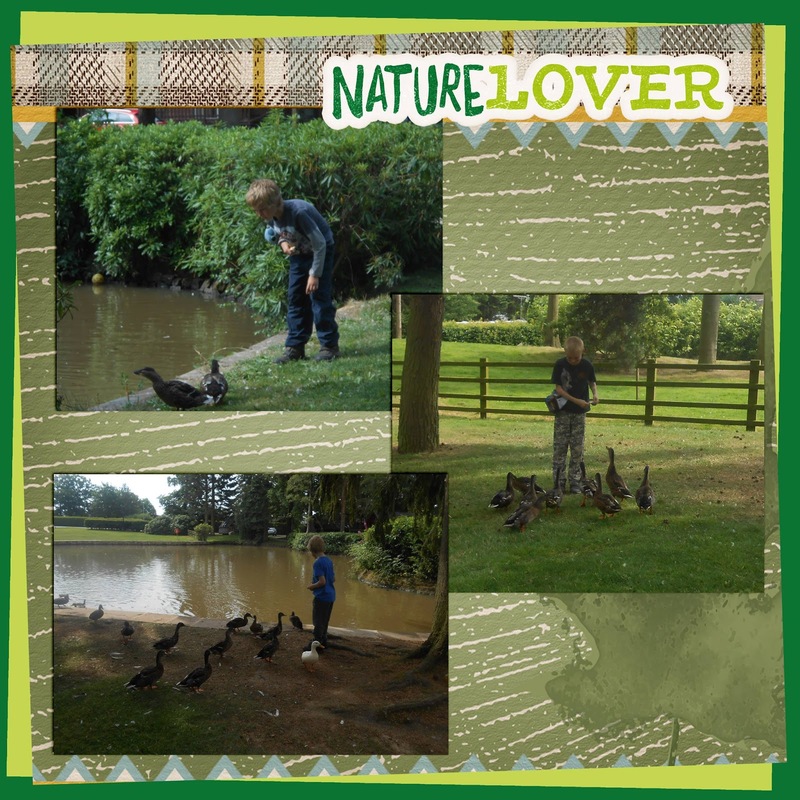 Last year the kids played in the river, climbed trees and made lots of new friends. I would deffo try Studfold Farm in Nidderdale. Won loads of awards, amazing place. Just got back from springhill farm today. Fantastic campsite. Seahouses is on my list and never thought of camping, this might mean we get there sooner than we thought! Thankyou so much for this. We are looking to go camping for the first time in years and this has been really helpful. I've sent enquiries off to 4 or 5 of these that you have mentioned and hopefully we will get sorted for the coming week ahead.